Drones with tracking capabilities are the new norm. Today, every decent model on the market seems to have some kind of follow-me function. But if we look back to iterations of the DJI Phantom 3 in 2015, and even further back to the 3DR Iris in 2014, it’s clear that the technology has come a long way since those early days. The first examples of follow-me technology were as exciting as they were sketchy. Having a flying robot film you from above with complete autonomy was and remains a miraculous feat of engineering. But it was never quite perfected – even with smarter, more expensive models. The first drones with a follow function were essentially just tracking the GPS signal of the controller. The results were not the most reliable or precise. Today’s best drones have moved on. Instead, they rely on sophisticated computer vision and algorithms that can tell you apart from animals, vehicles and even other people. We’re now nearing the point at which drones are smart enough to be as good as having your very own professional aerial cameraman, not just a clumsy, accident-prone photographer stumbling after you while trying to keep you in shot. In this article we’re going to look at the best follow-me drones on the market in 2018. Some use computer vision, others are still stuck with GPS. And some appear to have moved on from both entirely. The DJI Spark makes a big impression for something so tiny. 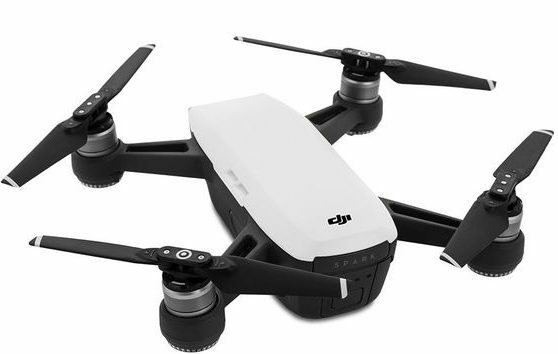 With 16 minutes of flight time per battery, a top speed of 31/mph and a camera with a 1/2.3” CMOS sensor capable of capturing 12-megapixel photos and 1080p videos, it packs a lot into a small package. Sure, the Spark’s 2-axis mechanical gimbal can capture cinematic shots with ease. But arguably its real genius lies in the onboard computer vision technology. That allows the Spark to be the smallest drone on the market able to sense and avoid obstacles. It also means that Spark pilots can take advantage of smart tracking features and Jedi-like Palm Control. The Spark comes with DJI’s ActiveTrack technology, so it can follow you in a number of ways depending on the situation using Trace or Profile. ActiveTrack works by recognizing objects of different shapes and sizes, like a car, person or bicycle – it then knows what kind of movement and speed to expect and is more reliable as a result. The Spark comes in a variety of colors and is currently available in the DJI store for a staggeringly cheap $399. No doubt about it: The DJI Mavic Pro is the most popular drone on the market right now. That’s probably because it manages to strike the perfect balance between being foldable, portable, powerful and capable of shooting incredible footage. When the Mavic Pro first hit the market, many thought it was the peak of consumer drone portability. Since then the Spark and the Mavic Air have proven that assumption to be false. But that doesn’t mean that the Mavic Pro should now be overlooked. It remains in the no.1 spot for good reason. The Mavic Pro shoots video in 4K and has all the obstacle sensing ability of the Spark. And like its smaller brother, the Mavic Pro comes with DJI’s ActiveTrack technology to follow as you, hike, run, ride, drive, ski or skate. A top speed of 40mph and a battery life well over 20 minutes means it should be able to keep up whatever you’re doing. Downward facing sensors allow it to handle ground level changes with ease – just remember that it can’t detect obstacles to the side, above or behind as it flies! Two last things to note about the Mavic Pro. First, it was originally launched as DJI’s $1,000 drone, but that price has dropped in recent months. That means that we’re due a new model in the near future – particularly since DJI has launched an iteration of the Pro already, the Pro Platinum. As well as the price of the Mavic Pro dropping on Amazon to a very reasonable $769, you can also fit DJI’s noise-reducing props (originally built for the Pro Platinum) to a standard Mavic Pro. The whole package already represents excellent value for money, and it’s only going to get cheaper. Good for: those seeking a middle ground between portability, durability, performance and video quality. Avoid if: you want a family-friendly drone you can carry in your pocket. The DJI Mavic Air kind of came out of the blue from the world’s most popular drone manufacturer. But, according to managing director Michael Perry, plans were drawn up as soon as the Mavic Pro hit the market. That explains why it still manages to stand out in a DJI product line that’s becoming a little congested. Basically, the Mavic Air offers a happy medium between the Spark and the Mavic Pro, in terms of price, size and capability. In some cases it even surpasses the bigger Mavic Pro. For example, it can sense obstacles in 3 directions: to the front, to the back and below. 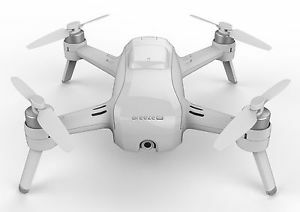 It also comes with DJI’s FlightAutonomy 2.0, which processes data gathered from no less than seven onboard cameras and infrared sensors. This data is stitched together to build a 3D map of its environment. Arguably the biggest advancement is the Mavic Air’s new Advanced Pilot Assistance Systems. This allows the drone to sense and bypass obstacles automatically – certainly a more useful function than simply hovering in place whenever there’s an obstacle. The Mavic Air folds to a smaller size than the already tiny Spark, can shoot in 4K and comes with all of DJI’s ActiveTrack functions – not bad for $799. Avoid if: you want to wait for the Mavic Pro 2! The original Phantom 4 was a complete game-changer when it was released in spring 2016. It was the first consumer drone to have sophisticated obstacle avoidance and introduced DJI’s ActiveTrack technology to the market. It’s no surprise that it was incredibly popular at the time. However, since then DJI has started the familiar process of iterating it, to the point of halting production of the original entirely. Now, your best bet is to go for either the Phantom 4 Advanced or the Phantom 4 Pro. Both of the latest models have a stabilized camera with a 1” CMOS Sensor capable of shooting 4K video at 60fps. Both also have flight times around the 30-minute mark. But the Phantom 4 Pro has obstacle sensing in 5 directions, which counts for a lot for professional operators and recreational pilots who really value their investment. And that investment doesn’t come cheap. The Phantom 4 Advanced comes in at $1199, with the Phantom 4 Pro costing $1499. The original Phantom 4 is still available in the DJI store for $999, but with the Mavic Pro being so much cheaper, we wouldn’t recommend it. Launched in 2017, the Hover Passport from Zero Zero Robotics is a unique take on what a flying camera should be. It looks more like an old-school VHS than a modern drone, which has its benefits. For starters, the foldable passport avoids the stigma that comes with its bigger competition in the drone industry. This is a selfie-enabler first and foremost, not a tool that can be adapted for professional filming or commercial missions. 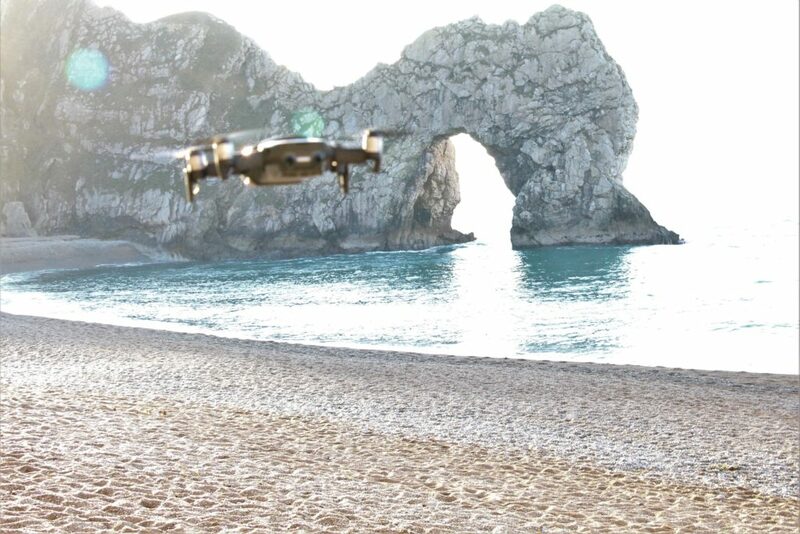 Having said that, the Hover Camera does exactly what it’s supposed to: it’s been designed to film personal moments by bringing together the portability of a smartphone with the point of view image capturing capabilities of a drone. In terms of tracking and follow-me technology, the Hover Passport’s 4K camera can keep up with you using two Auto-Follow modes. Instead of relying on GPS, these track your face or body on the go. The Hover Passport offers a different take on aerial photography. If it sounds like your kind of thing, it’s available for $349. The Yuneec Breeze is another 4K-shooting selfie drone with tracking capabilities from China. DJI competitor Yuneec has expanded into the recreational market with the Breeze. 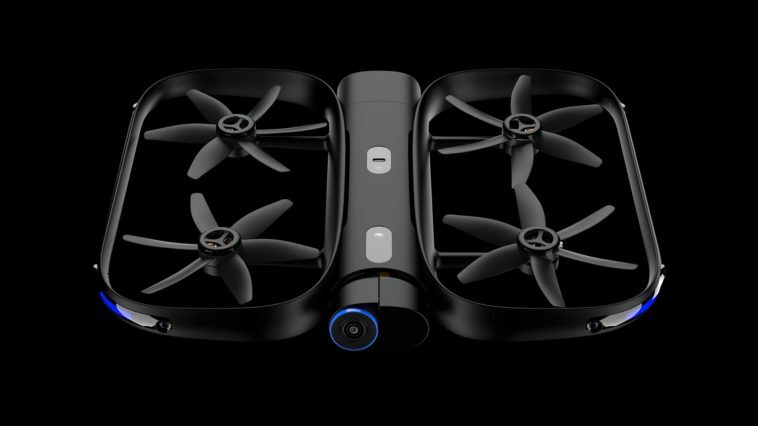 This drone is designed to be flown with a smartphone and take the intimidation out of flying, hence the name. It’s also designed to allow you to quickly share your favorite clips straight to social media. GPS-based features such as Watch Me and Follow Me set the drone to automatically track your movements, while an Auto Home function lets the drone return to you quickly and easily. The Yuneec Breeze is now available for just $229.99. At the top end of tracking technology is a new release from California-based Skydio. According to the company, the flying camera has now arrived. And that’s not an exaggeration. The R1 is, put simply, miles ahead of the rest when it comes to tracking and flight autonomy. It’s without doubt the most advanced selfie drone on the market, and has been designed to take all of the hassle out of flying. In fact, it’s kind of been designed to make it feel as though you don’t have a drone at all. 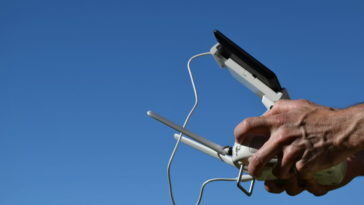 Instead, you’ve got your very own aerial photographer. But all of that technology doesn’t come cheap. The R1 will set you back $2,499. Yikes. And there are some question marks over how worth it this drone is. If you’re looking for a 4K drone that can track your movements, you’re not going to find anything better than the R1. However, some pilots will want a drone that’s more versatile, with greater manual control and the chance to shoot more cinematically, rather than just incredible tracking capabilities. DJI’s Inspire range has been designed from the ground up for professional, Hollywood-level cinematography. So it goes without saying that this option doesn’t come cheap. The Inspire 2 also requires a dedicated camera that needs to be bought separately. However, once you’re over that hurdle, there’s no doubt that this is an extraordinary piece of technology. If you choose to fly it with the Zenmuse X7 camera, you’ll be recording video at up to 6K in CinemaDNG/RAW and 5.2K in Apple ProRes. That’s miles ahead of anything else on the market in this price bracket. This is also one of the most powerful professional drones you’ll find. It can fly for 27 minutes at a time thanks to its dual battery system, which prolongs the flight time and includes self-heating technology to ensure performance at low temperatures. If speed is your thing, the Inspire 2 can fly at 58mph (94kph), descend at 9m/s and ascends at 6m/s. The time it takes to get from 0 to 50mph (80kph) is just 5 seconds. Now for the onboard safety systems and computer vision technology. The Inspire 2 features an adapted version of DJI’s FlightAutonomy software. It works with the onboard sensors to offer two directions of obstacle avoidance and sensor redundancy. In terms of tracking, the Inspire 2 comes with DJI’s Spotlight Pro, which uses advanced visual tracking algorithms to lock onto subjects during flight. It doesn’t even matter which direction you are flying – the gimbal will do all the work to keep your subject in the shot. The Inspire 2 is often used with two operators, but this technology frees up the pilot if nobody else is on hand. The Inspire 2 is currently retailing for $2,999. The Inspire 2 Standard Combo – which comes with the Zenmuse X4S – is available for $4,100. Got any more follow-me drones that you think we should add to our list? Get in touch in the comments below and let us know.